Keith Salkeld is well positioned in the real estate market as a Keller Williams Realty. He offers superior market insight, innovative marketing, and a very high level of customer service, resulting in consistent, award-winning success. By constantly monitoring changes in local market conditions and buyer feedback for each of the homes he sells, he has succeeded in keeping his clients’ properties ahead of the market and continuing to generate sales. From first-time home buyers ranging from the CEO’s, CFO’s, Presidents, Doctors, and Celebrities it does not matter. He has a client base that is as diverse as the properties he represent. He has extensive experience in the condo, co-op, loft, townhouse, single-family home, luxury estates and new construction markets. Although he has sold homes in the following areas: Carlsbad, Delmar, El Cajon, Escondido, Lakeside, La Jolla, Menifee, Murrieta, Oceanside, Ocean Beach, Poway, Pacific Beach, Point Loma, Ramona, Solana Beach, San Diego and Temecula he specializes in the local neighborhoods. He also assist clients who are moving out of the area by introducing them to top agents in other communities under the relocation program. Keith specializes in making a difference in real estate. This includes making a significant investment in the properties he sell. Before putting a home on the market, he works with his sellers to optimize the presentation of the home, to identify their target market, to develop a strategic marketing plan, to analytically assess market value, and to prepare customized marketing materials including brochures, floor plans, and photography. Once listed, he offers a comprehensive mix of high-quality print and web-based advertising venues as well as email feedback after each showing. Background Keith Salkeld started selling residential real estate in 2002. 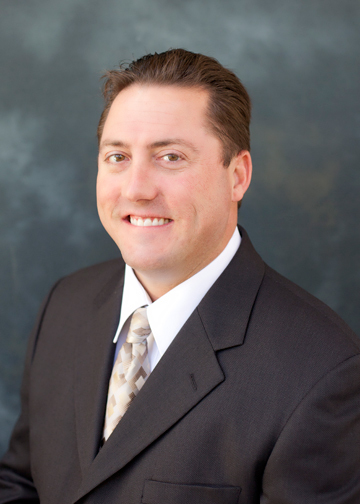 He has been recognized by the San Diego Association of Realtors and Riverside CRMLS. Keith is Realtor and associate of Keller Williams Realty. Keith carry’s a strong family tradition of excellence in residential real estate and luxury estates starting with integrity, trust, building professional relationships, and providing superior customer service. Keith’s love of City of Temecula because of the family based community. He continues to raise awareness and understanding of what is important to community, which includes giving back and participating in charitable events. Prior to his career in real estate, Keith was a Paid Call Firefighter for Loma Linda Fire Department, Supervisor of Fleet Maintenance, Orange County Transportation Authority, Superintendent of Fleet Maintenance, City of Scottsdale and Manager, Fleet Maintenance for San Diego Unified School District. Keith graduated from Regis University in 2012 with a Master of Science, Organizational Leadership. Keith Salkeld enjoys golfing, running, biking, surfing, fishing, attending N.F.L games.